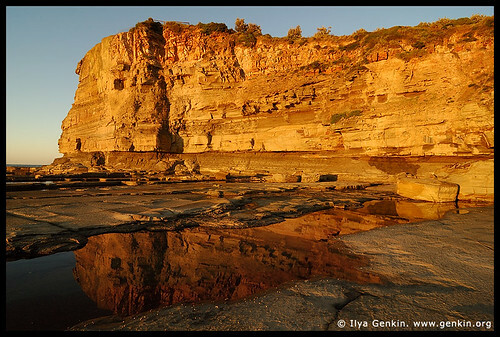 The Skillion is a well-known oddly-shaped narrow rocky cape on the south of the Terrigal beach that provides a wonderful photography sight. It also has a lookout on the top with wonderful coastal views. 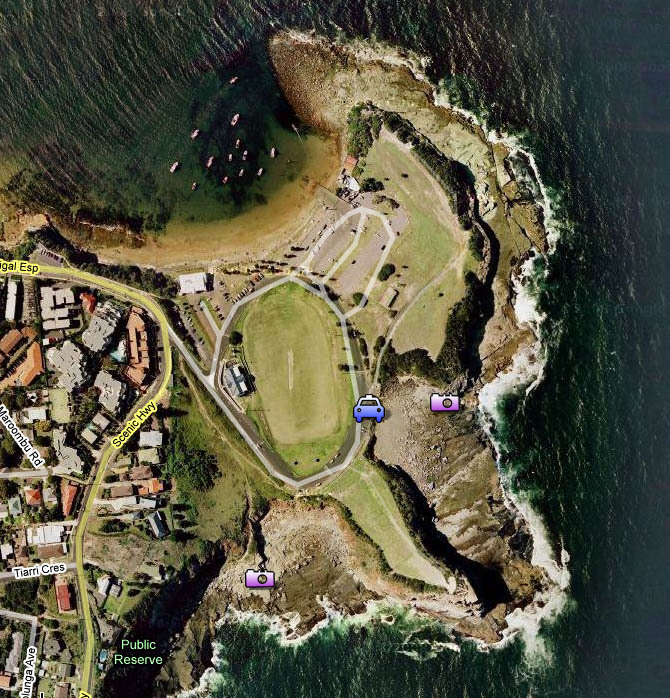 It’s located in Terrigal, Central Coast, NSW, Australia, in about 1hr drive from Sydney. Main shooting location is on rocks in a small inlet just between the north side of the Skillion and the Broken Head. 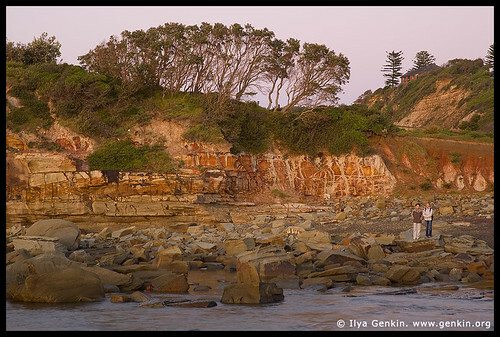 However the rock coast on the south side of the Skillion is also a nice place for taking pictures. 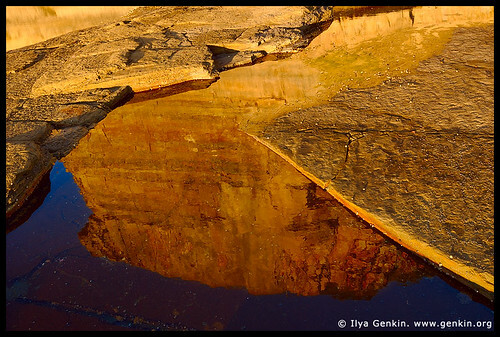 There are a few shallow rock pools available after high tides for photographing different kind of reflections. 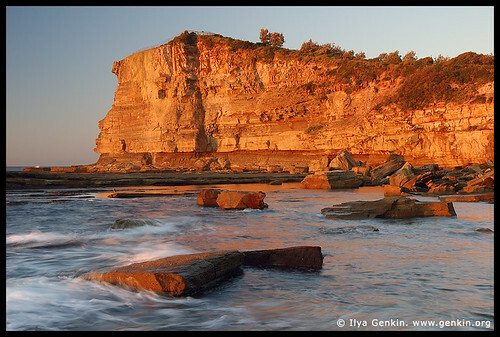 If you want to photograph the coast with rocks and foamy water at sunrise then don’t forget to bring Grad ND filters. Sandals and towel – just to be ready to walk in water. Headlamp or torch if you want to shoot in the dark or very early in pre-dawn. Grad ND filters if you want to shoot rocks on the beach during sunrise. Plenty of lens cleaning cloths – Salt spray can be problem on your lens element. This place is affected by high tide. When the tide is low you can walk on rock or rock platforms but please be very careful when the tide is high as there is a risk of damaging equipment or getting washed out to sea. Use Sydney Newcastle Fwy (F3) then exit onto Central Coast Hwy (83), drive though Gosford, on the second (?) roundabout take third exit to Terrigal Dr, then continue on Terrigal Esplanade and after passing the Terrigal beach turn left into unnamed road around oval. Park there. What a gorgeous guide. I’ve seen some lovely shots of the Skillion, but these definitely are up there with the best. Great job. ;… Great guide. I love shooting the central coast, but I haven’t shot The Skillion before. Well thanks to your guide I can now say that I have shot the Skillion…. and I loved it. I got some great shots and there are some very cool rocks around there. I’m glad that you found it useful! Your shot is amazing! Looking forward seeing your other images from that session!